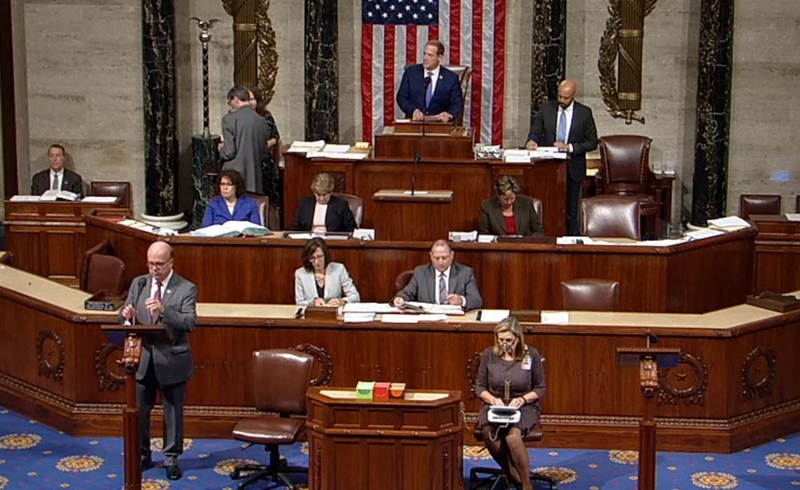 (TibetanReview.net, Sep27, 2018) – A bipartisan bill seeking to impose a visa ban on Chinese officials who deny American citizens, including especially government officials and journalists, access to Tibet has been passed by unanimous voice vote in the House of Representatives on Sep 25. And it is hoped that a Senate version will also be seen adopted soon to enable the legislation to reach President Donald Trump for his signature before the end of the year. Congressman Jim McGovern, the prime author of the bill, has said the bill imposes real consequences for China’s bad behaviour. Arguing that the basis of diplomatic law was mutual access and reciprocity, McGovern has said that while Chinese diplomats and journalists travelled freely in the US, the Government of China had erected many barriers in areas of China inhabited by ethnic Tibetans. He has pointed out that US diplomats and journalists must obtain permission to enter the Tibet Autonomous Region. Such permission is almost always denied. “Under this bill, Chinese authorities who are involved in the design and implementation of policies that restrict travel to Tibetan areas become ineligible to receive a visa or be admitted to the United States. This is a victory for human rights of Tibetans and Americans,” McGovern has said. Also speaking in support of the bill, House Democratic Leader Nancy Pelosi has said the issue of reciprocity was not only a human rights issue, but also a practical matter. It is very important for the US to have a diplomatic presence in Lhasa, she has said. Republican Congresswoman Ileana Ros-Lehtinen has also spoken up. Calling policies on Tibet not only immoral and unjust, she has said the Congress was sending a true signal that the US had indeed not forgotten about the people of Tibet, that Congress will not accept Beijing’s bullying and intimidation and that the US lawmakers will stand up for human rights for the people of Tibet. The Act includes a national security waiver, and would require the US Secretary of State to submit to Congress an assessment of the level of access to Tibet granted to American government officials, journalists, and tourists by Chinese officials. If the secretary determines that there are restrictions on travel to Tibet, the appropriate Chinese officials will be rendered ineligible to enter the US. The bill is expected to help curtail China’s isolation of Tibet, which is considered to be far more cut off than even the hermit state of North Korea.